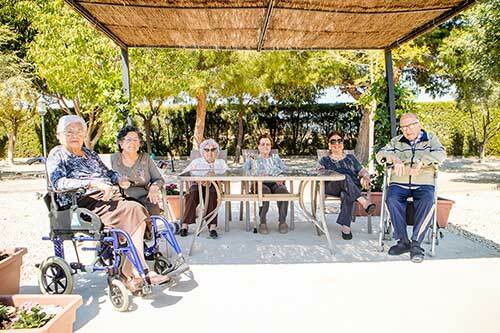 El Molino is a Centre aimed at the elderly, both a Residence for twenty-five persons, and a Day Care Centre for eleven persons, a social and a health service to take care of people affected by different degrees of needs, promoting their autonomy and wellbeing. The care of the elderly must embrace all their needs. It must take into account both their physical and their mental wellbeing. It must foster their integration in the family environment and in the community in which they live. 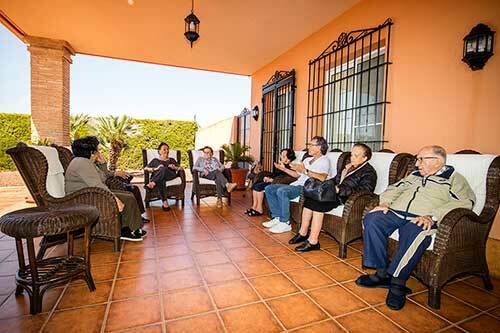 El Molino has its services and a group of qualified professionals at your disposal to work for the elderly´s welfare. The residence El Molino, located next to the coast of the Mar Menor Sea, has a garden of 4.500m2, a wide space open to the light and the benefits of the Mediterranean climate, very benign throughout the year. Different zones of the garden - pergola, cactus zone, grove ... - allow residents to enjoy the benefits, both physical and emotional, from contact with nature and the outdoors. The Center has qualified staff for the Direct Care of the residents. 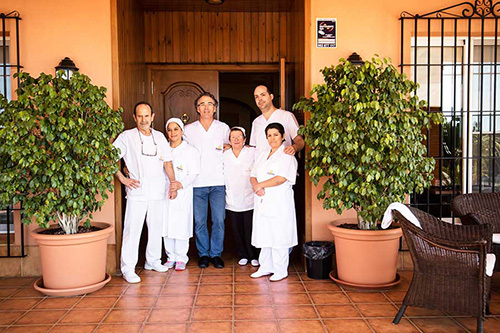 Clinical Assistants, Nurse, Physician, Physiotherapist, Social Worker, Kitchen and Cleaning Staff ... all of us work as a team to assist users in their needs, not only physically but also emotionally, and fulfill the main objective: The integral well-being of our residents. The limited number of users, twenty-five in Resident mode and eleven in the Day Center, allows us to enjoy a family atmosphere in which closeness and warmth in relationships are a fundamental part of our attention. In daily living, in stimulation activities, in cinema sessions, in the hours of social gathering on the porch ... we are a large family.